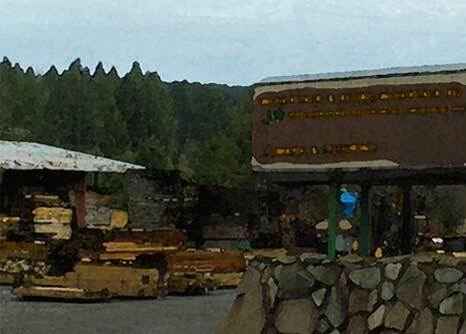 Hardwood Components, Inc. is a small, family owned and operated hardwood sawmill. Our country store is located 21 miles east of Salem, Oregon on Highway 22, near the small town of Mehama. We have enjoyed doing business here as a family for over 40 years. We carry a unique selection of locally grown woods that will appeal to the hobbyist as well as the professional craftsman and artist. We do not import any of our lumber. We manufacture and dry all of it on site. As such, we prefer to sell mill direct so we can satisfy the specific needs of our customers. We are proud that every piece of wood we present has been locally grown and manufactured in the Northwest. Our retail area is open to the public, so come in and buy as much or as little as you desire. We appreciate all of our customers. When you call on us, you will generally be dealing with a member of the family. We take great pride in our family, our business and our products. We want to supply our customers with good service and the best possible choice of lumber for their projects. Our road sign (shown above) is hard to miss. 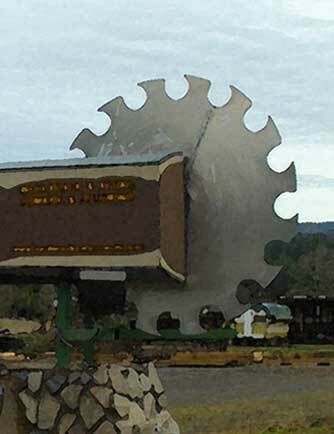 Just look for the revolving saw blade when you make us your destination.